I couldn't help but note the location, since it is near where I lived for years. The closed school is Gongjin Elementary School, which appears on the map below as 'B,' where it stands beside the Home Plus near Exit 1 of Gayang Station on Line 9. A new iteration of the school has recently been built in the Magok-dong development (marked as 'A' on the map). Beyond my dismay at such views being voiced just down the road from my old neighbourhood, this brings to light the way in which certain groups are discriminated against and the stigma that is to be found at the heart of this. While, as reported here, a few were blunt about their bigotry, such as the resident who shouted "The disabled should all be boxed into one place," I get the feeling that some might feel that it is acceptable to blame housing prices, because then they can claim the source of their concern is not discrimination, but a desire for economic well-being, something which exists an intermediary between their bigotry and their actions. They can claim property prices are the reason to reject the presence of the stigmatized group, but a fall in housing prices due to the presence of a certain group is little more than discrimination crystalized into an economic manifestation. He added, “In that sense, I understand the realistic points of view of several residents who oppose the establishment of a school for people with disabilities. This isn't the first time the Seoul Metropolitan Office of Education has faced a situation like this however. 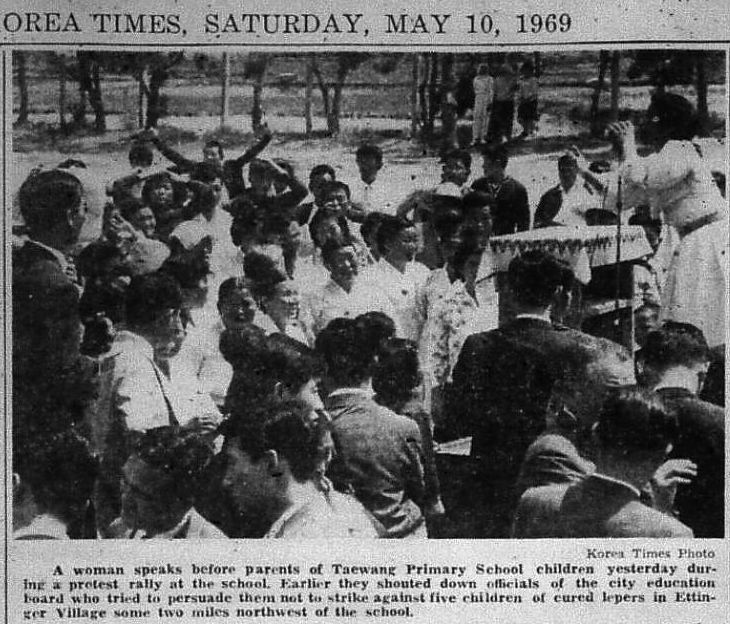 In the spring of 1969, a similar situation arose in Seoul as the government faced off with parents of students at Daewang Elementary School, which stands three kilometers south of Suseo Station in southeastern Seoul (and was opened in 1932, according to its website). 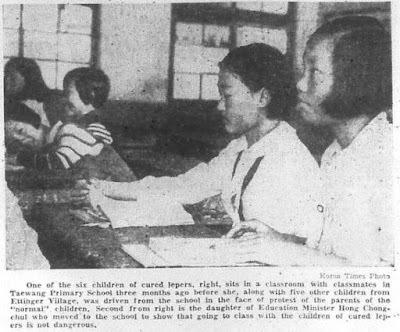 The Seoul Board of Education had initially pushed for the enrollment of five “children of the patients of dormant leprosy” from a nearby lepers’ rehabilitation center in Naegok-dong but parents of other students began boycotting classes from April 18, 1969. 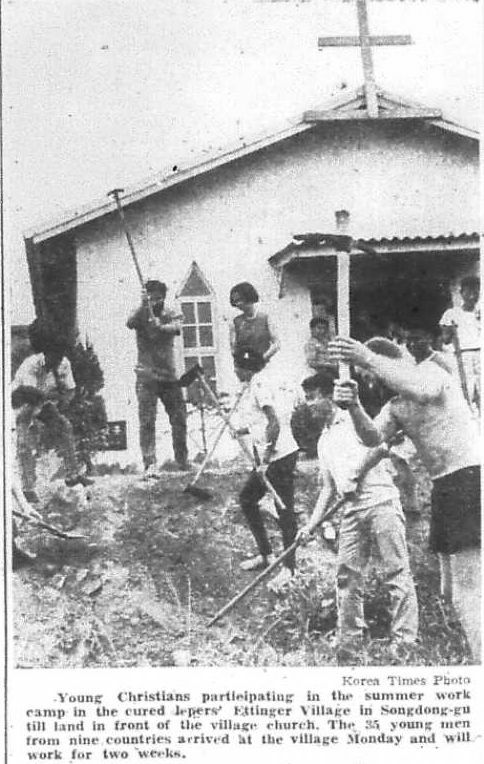 The rehabilitation center, ‘Ettinger Village,’ was “established by the American-Korean Foundation in 1966 through 1968 where 63 families of cured lepers settled,” as the Times reported May 10. This is not the first time discrimination against such children had happened. 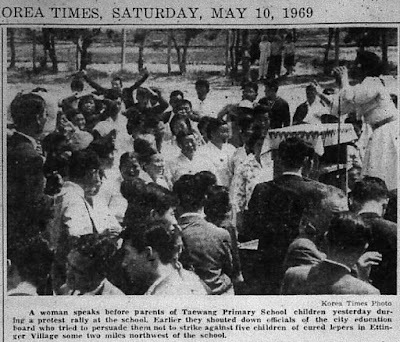 The Korea Times reported in March 1964 that boycotts were taking place at schools in Ulsan and near Mungyeong. In the case of the school in Ulsan, 80% of 546 pupils refused to attend classes with 11 children "whose parents were suffering from Hansen’s disease." 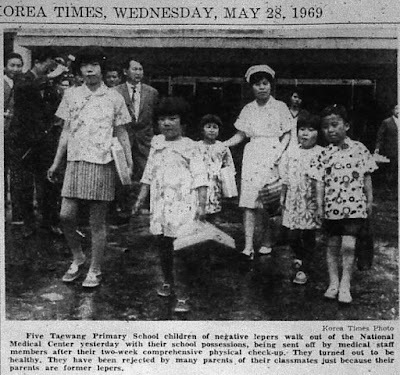 Though the following is based on the Korea Times' (extensive) coverage, the term for leprosy used in the Korean-language media was 나병 / nabyeong (미감아, or 'child not infected,' was also often used). On May 12, 300 parents chartered buses to hold a protest in front of the education ministry but were stopped by police near the Han River. 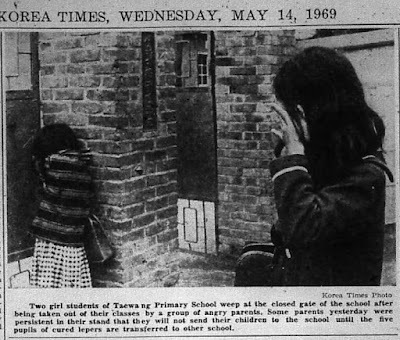 When they refused to disperse they were taken to Dongbu Police Station and there they continued to protest until Pak Won-ik, a Board of Education officer, told parents the five children would be hospitalized for a week for a medical examination and they would not be at school during that time, after which the parents dispersed. 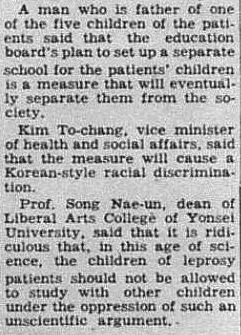 The Ministry of Health reiterated later that day, however, that it was set on integrating the students, and the Seoul Board of Education publicly concurred with this. 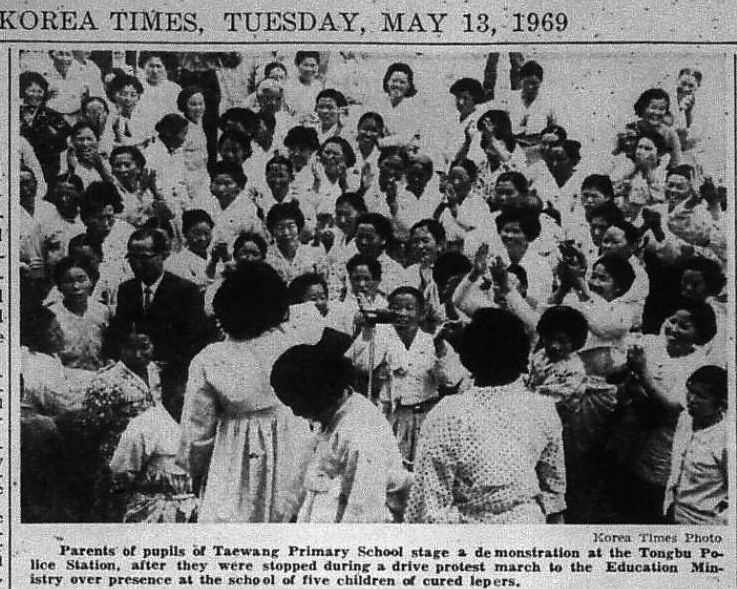 On May 14 the Times reported that 6 students had come to school the previous day, but “five of them were taken out of the classrooms by some 10 parents who were on the school ground.” 300 parents had agreed to return their students to classes if “the five children of cured lepers” were “examined thoroughly at the National Medical Center,” but most parents did not agree to this. 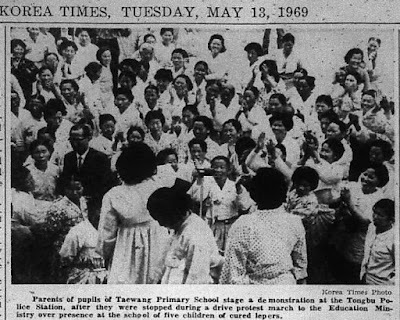 On May 16, the Times reported that 18 students (out of 853) had returned to school the day before (likely for teachers’ day). 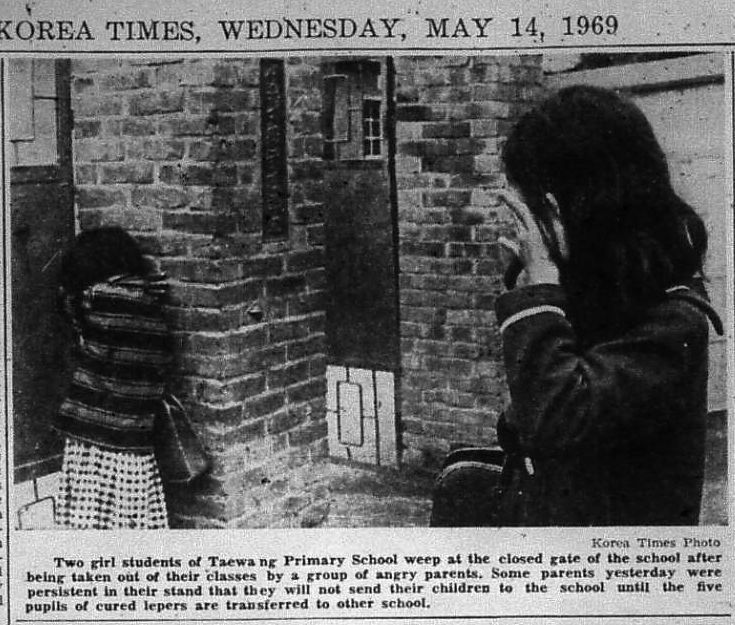 Two days later it reported that on May 17, 365 students had returned to school after 27 days, among them the daughter of Education Minister Hong Jong-chull, who had transferred to the school. The four health ministry officials have volunteered to take care of them to prove that the children of negative lepers are neither potential lepers nor infectious. The officials are Chung Hi-sup, health minister, Hong Chong-gwan, director of the National Medical Center, Cha Yun-gun, chief of the Medical Bureau, and Kim Taik-il, chief of the Bureau of Public Health. To make the parents understand, Hong Jong-chul, minister of education, has transferred his daughter from Kyunghee Primary School to the Taewang School May 17. Despite such efforts, the parents are still strongly against the government move, threatening that they will keep their children out of the school if the ﬁve children attend again. 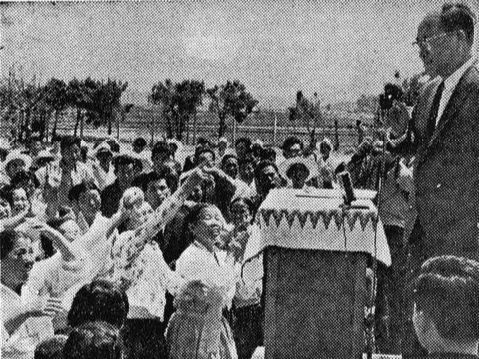 Despite such an admirable stand by the government, however, the next day it was reported that the government had “bowed down to the determined pressure of the parents…by deciding to set up a new primary school for the five children of negative leper patients.” The school was to be attached to the Korea Theological Seminary. Not everyone in the government was happy with this, but the education minister assured that this arrangement was only to be a temporary one. Residents of Ettinger village criticised this decision and tried to persuade parents to allow the children to attend the school, but failed and the children began studying at the seminary on June 23. On July 30 it was reported that 35 Christian youth from around the world had come to Korea to do volunteer work at Ettinger village. It is not clear if this was in response to the controversy that year or not. On August 3, the Times reported that locals in the community where Ettinger Village was located had signed a petition asking that the children be allowed to go to school nearby, since they had to live in a dorm at the Korean Theological Seminary [and returned home on the weekend]. It makes clear that when the village was first established, locals responded in a hostile manner, then refused to communicate with them, but after farm hands were needed at harvest time, they eventually grew to realize that the former Hansen’s patients were of no threat to them and saw them as neighbours. This was the last report in the Korea Times on them, and the Naver News Archive makes no mention of them after this either. 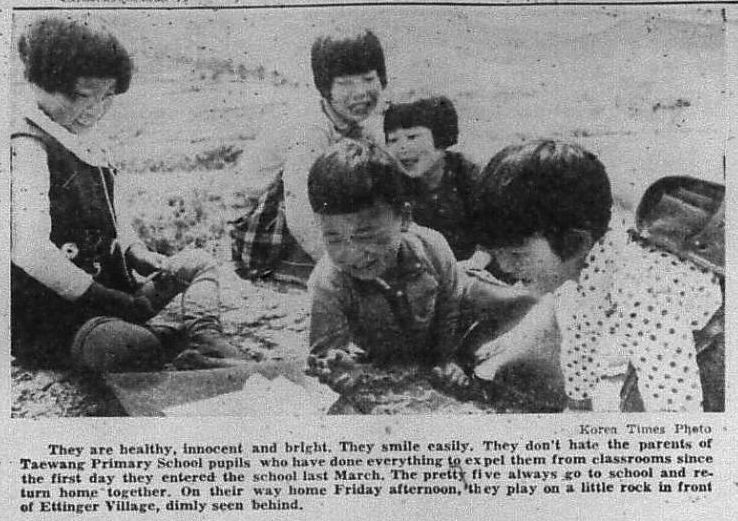 At a guess, they likely never attended Daewang Elementary School, and the Seoul Board of Education lost its battle with the parents. Thinking back to the comment by Yonsei dean Song Nae-un, who bemoaned the existence of such discrimination "in this age of science," one wonders what his reaction might have been had he seen the recent clash over the school for disabled students. 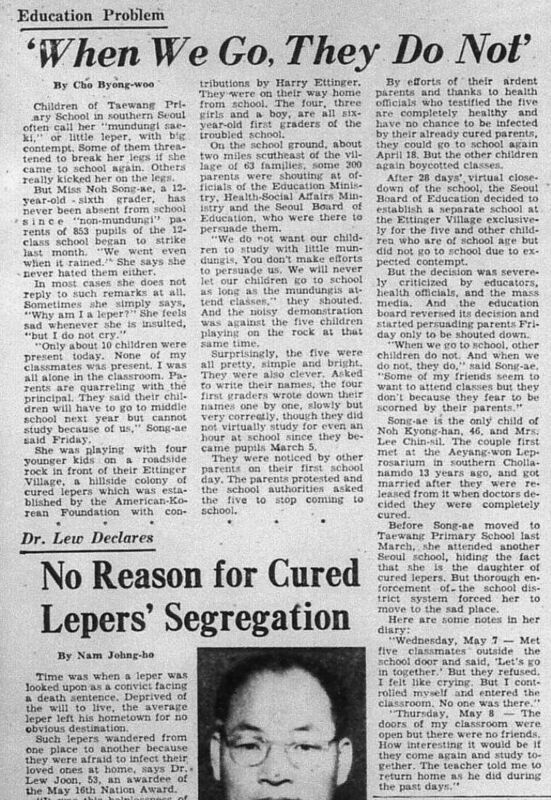 In May of 1969 the father of one of the five children said that setting up a separate school for the patients' children was "a measure that will eventually separate them from society." Now it seems a school separating stigmatized children from society is not enough. From the behavior of those parents in Gangseo-gu last week, it seems that today even the school must be cast out. All of which makes me wonder just how fragile some Koreans must feel their prospects for future wellbeing to be if screaming at the parents of disabled children has become acceptable behaviour. Does anyone remember Watch Your Head?